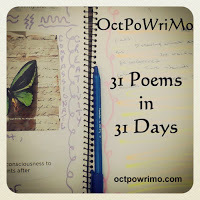 Here's is today's challenge for #OctPoWriMo: Write a poem influenced by your feelings about autumn. Do you see autumn as a beginning or the beginning of the end? Chose at least three from this list of words below. I hope you enjoy today's offering. I adore the fall... the cold crisp air... I see it as a beginning too! The dog days of summer...I remember being so confounded as a child by that phrase.